Jewelry Doctor » Happy Birthday! Take 50% Off Any One Item! Happy Birthday, Take 50% Off An Item! We Want To Celebrate Your Day With You! 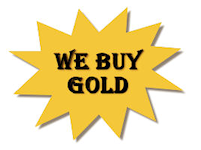 At Jewelry Doctor we are dedicated to becoming San Angelo’s premier Jewelry Store and Precious Metals Dealer! You, our customers, are the foundation of our success year-round, so we want to show our appreciation by offering you 50% off one item on your birthday! To take advantage of this promotion, simply come into the store on your birthday and show us your valid photo identification. If we are closed on your birthday, we will honor this promotion on the day before or after your birthday. This promotion cannot be added to any other promotions and has no cash value. Individuals must be at least 18 years of age and must present in person to Jewelry Doctor with a valid government-issued picture ID showing their Date of Birth to claim this promotional discount. Items cannot be placed on layaway at the 50% off price. Selected item must be paid for in full on the date this promotion is claimed.